Science may have discovered the proverbial fountain of youth, but before I described it, I want to orient you to its polar opposite, which is stress. It is well established that there is no greater threat to our health, happiness and success than stress. Stress is serious; it can shorten life span by a decade or more. It is not something we should someday do something about. We need to attend to it today. Yet nearly 80 percent of Americans are doing little to alleviate their daily stress, and corporations and health plans do little to teach people how to transcend stress. Here’s the central issue: Stress dumps toxic hormones into our system that can damage our DNA, kill brain cells, cause heart disease and cancer, dampen our immune system, switch our emotional set-point to negative, and age us prematurely. 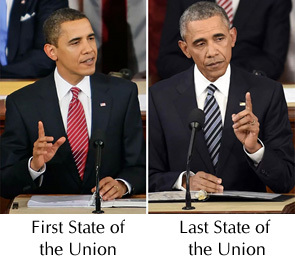 We see the premature aging in the stressed faces of every president as they leave office. Premature aging starts with your chromosomes. Chromosomes contain your DNA and at the end of each chromosome are caps called Telomeres that protect your DNA, keeping everything intact and functioning properly. 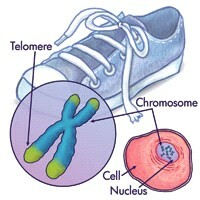 Imagine that the shoelace in the image is a chromosome containing strands of DNA. When the protective tip is gone, the lace unravels. Similarly, when stress hormones fray telomeres, DNA strands become damaged and generate abnormal cells that age your body and brain prematurely. Our immune system is highly sensitive to shortening of telomeres, which means we are more susceptible to acute and chronic disease. Stress also physically changes our brain and can make us more susceptible to dementia and alzheimer’s later in life. Brain scans can show a physical difference in a healthy brain verses a stressed brain. You can see that the scan on the left is not as lit up as the scan on right. The scan on the left represents a person living a stressful life. 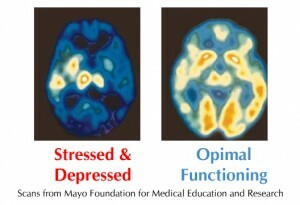 The scan on the right is from a person who is not stressed and as a result has the optimal brain function to be successful, healthy and happy. On top of all this, stressed employees are less engaged, which thwarts an organization’s efforts to succeed. Research shows that nearly 60 percent of employees who are highly stress are disengaged, while other research shows that companies that achieve high employee engagement outperform their competition by as much as 400 percent. People with a distracted wandering mind tend to be stressed. They disconnect and disengage, which shortens their telomeres. On the other hand, people whose minds are present, engaged in the moment, tend to feel positive, connected and happy, preserving telomere length. The icing on the cake is that the more positive and peaceful you are, the more your brain generates the intelligence, creativity, and emotional strength needed to excel. Make no mistake, state of mind maps to the bottom-line. The good news is that the damage stress does to your body, brain and pursuit of excellence is reversible. How is this reversal achieved? Through a shift in mindset. Scientists from a range of fields have been uncovering evidence that the mind plays a crucial role in how healthy you are and how well you perform. Forty years of research in cognitive therapy have established that all our moods are created by the thoughts we believe, determining what we expect will happen. The signals that your cells listen to are shaped by your mental state. [i] Our beliefs and expectations can cause or ease pain, heal or inflame wounds, fend off infection or promote it, reverse heart disease or cause it, slow the progression of cancers or accelerate it. Telomere length determines all of this and its length is driven by our mental state. Pessimism is associated with shortened frayed telomeres and a shorter life span; optimism is associated with healthy telomeres promoting a longer healthier, more youthful life. Here is a case in point: Nobel Prize laureate Elizabeth Blackburn studied mothers caring for severely disabled children. The daily demands on these women are extremely stressful and the study found that a large percentage of them had shortened telomeres and an excess of 10 years of extra aging in their blood cells. Stress was killing them. But not all the mothers exhibited accelerated aging. The telomeres of mothers who’d cultivated a positive, peaceful attitude were still intact. One women said if she hadn’t fostered a good attitude, her friends would have left her, and she would have to face life alone. Mind matters. There is nothing that generates greater health, well-being and success than your state of mind. When you stop thinking primarily about yourself and your problems, fearing failure and worrying that you’re not good enough, you undergo a truly heroic transformation of consciousness. As your mind changes, all the world changes accordingly. Our state of mind creates the life we live. The difference we make in the world depends on the way we choose to live, and the biggest difference comes from allowing love, joy and inner peace to be the statement our life makes every day. Mother Teresa once said that she used to believe prayer changed things, but found that prayer changes us, and we change things. If you have a problem with stress, as most do, it’s not entirely your fault. Fifty percent(50%) is due to the way genetics and past traumas wired your brain for stress, dragging your mind and your day into self-defeating bouts of anxiety, worry, and an exaggerated sense of threat. The fact is that 85 percent of what we worry about never happens, and with the 15 percent that does, 79 percent of the time we handle the matter better than our worried mind predicted. It is common for people to think that a change of circumstances will solve a stressful life, but circumstances are only 10% to blame for a stressful life, which means changing circumstances does not make a big difference. 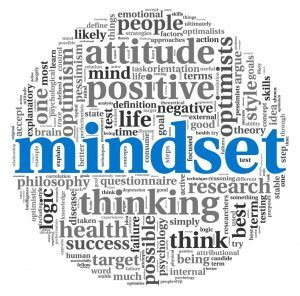 The change that makes the biggest difference is a change in mindset, a change in attitude. It accounts for 40 percent of whether you live a life of stress or a happier, healthier, more successful life. And now there is growing evidence that a shift to the positive can down-regulate the stress gene. There are only two mindsets you need to understand. 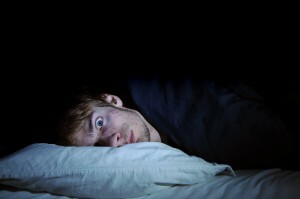 One mindset is negative generating an inner experience of contraction that feels like the walls are closing in on you. It is built on the fearful thinking that activates the brain’s stress response system, dumping toxic stress hormones into your system that makes you over-react and worry. The other mindset is positive, generating an inner experience of expansion that makes you feel like the sky is the limit. It is built on inner peace, love and optimism and makes you believe you are larger than circumstances. This amplifies higher brain function and stimulates the growth of new connections within the higher brain to increase your potential to reach even greater heights. This entry was posted in Uncategorized on February 1, 2018 by Don Joseph Goewey.